"This will be my first tour in Japan. I have Japanese friends and know Japanese people who are music lovers some of whom have even been learning Indian music for a long time - about 25 years! Some of them have become promising musicians , singing / playing Indian music very well and I feel proud of their hard work. From what I have seen of Japanese culture, it is similar in many ways to Indian culture. The people from Japan that I have met I have developed deep connections with. They have a great deal of dedication towards their music studies. I have been told that there is a great number of people who appreciate Indian music and I look forward eagerly to my tour in Japan." 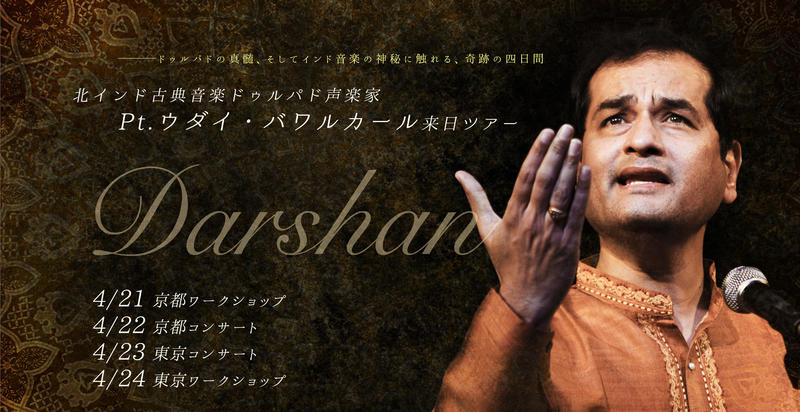 Copyright © 2018 Dhrupad Society of Japan. All Rights Reserved.